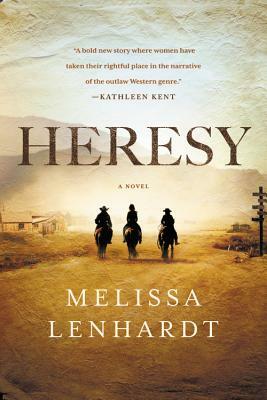 Heresy is a historical fiction that follows an all women, old west outlaw gang through their exploits in the Colorado frontier. Margaret Parker and Hattie le Cour are at the heart of this turn of the century story, where a widowed woman and an escaped slave are driven off their successful horse ranch in the Colorado rockies by a jealous and spurned fellow rancher, who happens to own a few banks. What follows are the classic stagecoach robberies, train heists, and search for lost justice that are hallmarks of the western genre. However, when the Heresy ranch gang takes on a reporter woman who promises to tell their story, and get them their due credit, all bets are off. The history of the west was written on the back of a horse, but it is rarely told from the mouths of women. Told as alternating interviews with an older Hattie, and first person narration from Margaret, this is a western sure to appease the genre’s existing fans, and pull in true greenhorns.